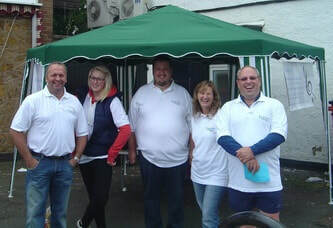 In July 2012, six local residents of Long Buckby (Tim and Millie Burditt; Vince and Sarah Collins and Gareth and Jane Jones) wanted to form a community voices choir that offered all genres of music to everyone in our village. We set ourselves the task of finding 20/30 like-minded local residents who also wanted to sing, enjoy sharing their love of all music and making new friends. 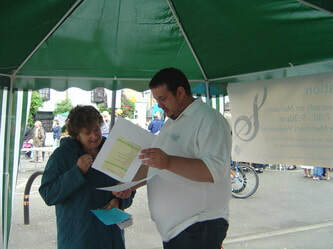 Within six weeks, we had found a wonderfully talented Musical Director, who is also our local Baptist Minister, Nathan Toseland; a rehearsal venue, the village Baptist Church, although we are not a religious affiliated choir; and from a very small stall at our 'Long Buckby Feast' last August Bank Holiday, we began promoting Elation Community Voices. We also held an Open Hour the following Sunday and finally opened the doors for our first rehearsal night on Monday 3 September 2012. We were so proud and overwhelmed when 82 local residents came in, all wanting to sing! Before long we had over 100 registered Elation Community Voices members, from over 80 years young to 18.